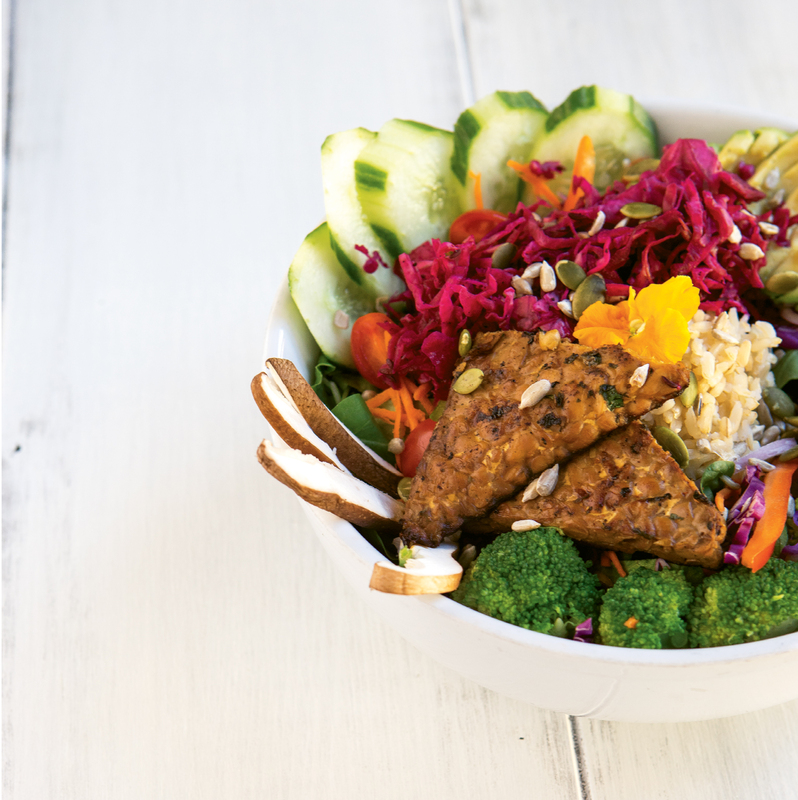 Laughing Seed Café in Asheville serves its popular Lotus Bowl with brown rice, blanched broccoli, kimchi, avocado, and tempeh or tofu. It’s packed with vitamins, minerals, fiber, protein, and more. Owner Joan Eckert offers up the recipe so you can enjoy this nutritious salad at home. She suggests making it to suit your taste: Swap out the rice for quinoa and add your favorite fresh or cooked seasonal veggie, like butternut squash or beets. You’ll feel super either way. Combine all ingredients except water in a blender or food processor. Blend until combined, then slowly add water while continuing to blend. If dressing is too thick, add more water. Serve with the Laughing Seed’s super healthy Lotus Bowl.